If you prefer the look of period properties over newly-built homes, you may find yourself drawn to buying in a conservation area. While there are many advantages to living in these protected neighbourhoods, such as the fact they safeguard original architectural features and picturesque surroundings, you will be more restricted in the type of work you can carry out on your property and there are strict penalties for breaking the rules. These are designated areas of historic and architectural interest in which there are legal restrictions on what changes can be made to buildings, greenery and street furniture in order to preserve the unique character of the place. 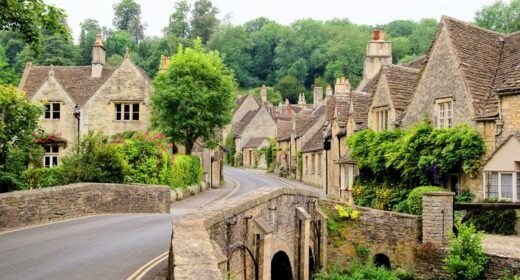 The first conservation areas were established in 1967 and now there are around 10,000 in the UK including estates, parks, stretches of canal, historic town centres and some entire villages. The precise restrictions on what you can do will vary according to the rules set by your local authority and the nature of the area they are trying to protect. For example in some areas the rules might prevent changes to railings, street lighting, trees, windows, right down to the colour of paint that residents are allowed to use on their front doors. How does living in a conservation area affect my home’s value? It might be more expensive to have work done if there are restrictions on what materials you can use and there is more paperwork to complete, but being situated in a conservation area is likely to boost the value of your home due to the fact the neighbourhood is attractive and will remain so. The last in-depth study on the subject, which was carried out in 2012 by the London School of Economics and Historic England, found that houses in conservation areas sell for a premium of 9% on average. These homes also saw higher annual growth in value by 0.2%, the research found. What are the planning restrictions for homes in a conservation area? Local authorities place extra restrictions on properties within conservation areas known as ‘Article 4 Directions’. These limit the changes that home owners would otherwise be able to make to their properties under their normal ‘permitted development rights’. These rights govern the home improvements that property owners are usually allowed to make without requiring planning permission. If you live in a conservation area, these automatic rights are more limited. A gate, wall or fence that is over 1 metre if it borders the road or higher than 2 metres if not. Any new construction of sheds, outbuildings, swimming pools. Installing satellite dishes or antennae that face the road. Fitting solar panels to the front of the roof facing the street than 150mm from the roof slope. How do I know if a property I want to buy is in a conservation area? Annoyingly, there is no simple search facility, where you can quickly type in a postcode and see if a particular property is in a conservation area, but it should be easy to find out. Firstly, check with the seller and the estate agent – they should be keen to tell you as despite the extra red tape, it is generally considered to be a selling point rather than a negative. Your conveyancing solicitor may also tell you, but don’t rely on this as it won’t necessarily be flagged by the standard property searches. The safest option is to check yourself. If you are searching for properties online and want to find out whether a house you are interested in falls within a conservation area before you go any further, look for the website of the relevant local authority. You should find a list or a map of all the conservation areas within that council’s boundaries. You should also find documents that list the restrictions for each area. Where can I get advice on carrying out building work without breaking the rules? Speak to your local planning authority at an early stage and talk through your plans to find out if they are likely to require planning permission. If you do need to apply for permission, you could get your builder, architect or a planning consultant to submit an application on your behalf. What are the penalties for breaking the rules? Carrying out illegal works within a conservation area can be extremely serious. It is a criminal offence that can be punished with a maximum prison sentence of two years under Section 74 of the Planning (Listed Buildings and Conservation Areas) Act 1990.